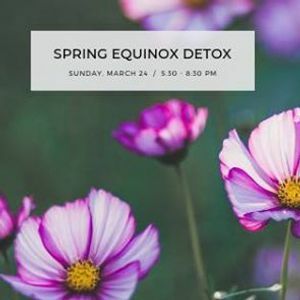 Join us for a deep journey of clearing stagnate energy away for spring. 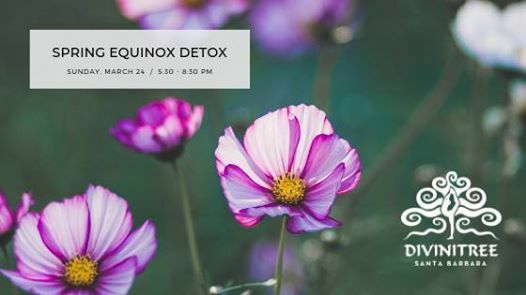 In this workshop, we'll come together through breath, laughter, Ayurvedic oils, sweet sweat, and kriya yoga to uproot toxins. Once the work is done we will move into planting seeds of growth and intention to bloom in the spring. Tea will be served prior & Ayurvedic nourishment after. Natalie has been studying and practicing Yoga for 20 years and fell in love with Ayurveda in 2014 and has been an avid student of both since. First certified as a yoga teacher in 2000, Natalie has studied yoga and been certified by some of the most notable names and leading figures in yoga, including Prana Flow with Shiva Rea, Hatha Yoga with Erich Schiffman, Ashtanga with Paul Delleghan, and YogaWorks 500-Hr training focusing on Iyengar, Therapeutic and Restorative Yoga with Lisa Walford (founder of YogaWorks) and Jasmine Lieb. Her expertise in aerial yoga is rare and unique. She keeps up her studies of Ayurvedic Medicine at the Kerela Academy of Ayurveda with Dr. Jaye Apte, fortunate to be kept close to original lineages of Ayurvedic wisdom. Her own path of transformation using these techniques grounds and fuels her immense passion for yoga, leading training, retreats and workshops and her love of sharing the gift of every day with others. 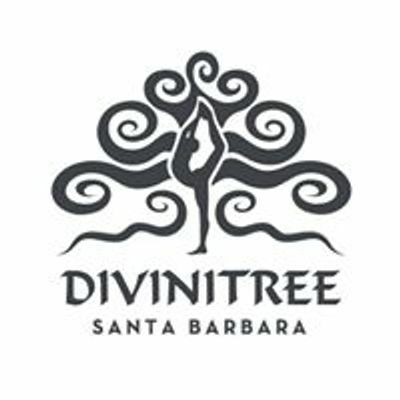 15% off for Divinitree Santa Barbara members! Junior Space Science Investigator - Save the Date!